What if I told you that you can reverse your aging process if you are taking medicine for treating varicose veins and spider veins. Benefits like the cure for varicose veins and reversal of your aging process can be acheived without leaving your home and without undergoing any costly modern treatments. Our renowned herbalist and an ayurvedic physician is a specialit in treating vein related ailments. For the past 4 generations specifically since 1834, the memebers of Chavarcode ayurvedic family are renowed traditional Phlebologists. Constantly constinuing research in the field of herbal medicines has helped the vaidyans (physicians) to emerge victorious fighting many ailments. Experience of the past 170 years has proved that one medicine which was dicovered to treat a particular ailment has emerged as a remedy for many ailments. 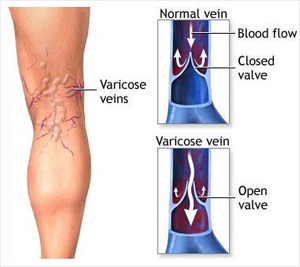 In the case of the venous disease it is proven that varicose veins drug can act against aging. Many people who got rid of varicose veins consuming vasko has experienced that their wrinkles on the face also got reduced. Unlike other treatment options like surgery and laser treatment there is no side-effects and hospitalisation. The medication named vasko has been used for centuries as a natural home remedy to treat the ailment.The anti-aging herbal solution VASKO, is 1 among the 4 medcines VASKO, VEINISH, POMEGRANATE EXTRACT and GRAPE SEED EXTRACT which is prescribed for treating varicose veins. Our proprietary blend and unique combination of Ayurvedic Medicine reverses the Venous and arterial endothelial fatty deposits by dissolving and the damaged valves in veins are repaired to regain the tensile strength. Unlike modern treatment methods ayurveda focus more on treating the whole body of a human being rather than to be specific. The medicine which is prescribed for treating varicose veins has got body intoxification and rejuvenation action which acts againg aging. One of the ingredient contained in VASKO is Boerhavia Diffusa. This ingredient has proven to be effective in regeneration of vascular endothelium, other mucus membranes and skin, it is inturn anti-aging or even moderate reversal of aging! 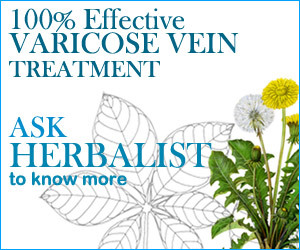 Now you know that the herbal remedy VASKO and other combination medicines can act against varicose veins, spider veins and revese the aging process. Is there any other ailment which can be treated with this medicine? yes, there are lot more. It is useful to treat Osteoarthritis (Degeneration of Cartilages, Tendons and Ligaments), Cervical Spondylosis, Lumbar Spondylosis, Thoracic Spondylosis, Rheumatoid Arthritis, Gangrene and Retinopathy, Hypothyroidism, High Cholesterol, High Triglycerides, High Blood Pressure, Cardiovascular Accident (Coronary Heart diseases with or without Angina ,pectoris), Cerebrovascular Accident (Stroke), Clogged Arteries, Fatty liver, Prostate Enlargement (Benign Prostatic Hyperplasia), Enlarged uterus with fibroids / Polycystic Ovary, Obesity (Visceral fat). 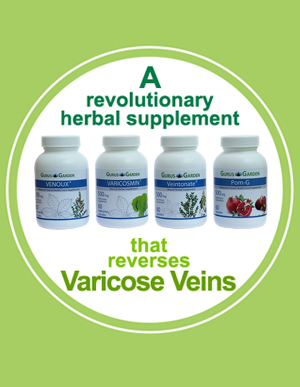 The medicine I’ve discused above works so well that combined, the VASKO, VEINISH, POMEGRANATE EXTRACT and GRAPE SEED EXTRACT has been a boon to thousands of people around in healing varicose veins. Want to know more about this medicine. Send a mail to info@varicosevein.guru we at Gurus Garden is here to help you on find the best herbal remedy not only for varicose veins.